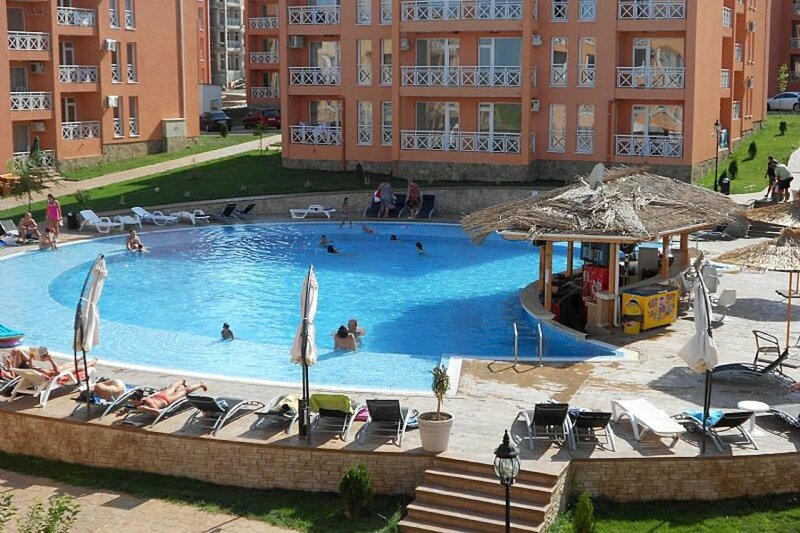 Abby apartment is located on sunny day 6 sunny beach on a gated complex , Sunny Beach. Ideally located to meet your holiday needs for a complete luxurious and relaxed holiday. Abby studio, operates regular shuttle service for guests to Sunny beach resort, beach area, airport and some nearby destinations for a nominal fee. The on site supermarket is well stocked and very reasonable. The on-site facilities are simply outstanding and provide everything required for a hassle free holiday. sunny beach has something for people of all ages, blue flag beaches, numerous restaurants and bars, lovely markets if you like to shop, near to nessebar a UNESCO heritage site and excellent public transport to get you around. property management company situated on site, should you need assistance. Go ahead and book, you won't regret it. Fantastic apartment with high spec furniture and accessories to ensure you have a well deserved break. View of Sunny beach, mountains, Tankovo village nearby. Wifi//cable/statellite payable locally for a fee.